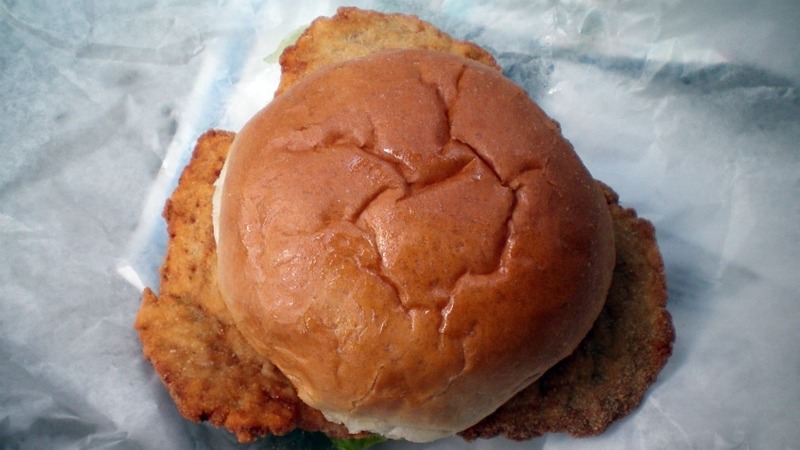 I've made frequent trips to Adel a bunch of times over the years, and had tried plenty of places looking for a homemade tenderloin here. This recently opened place in a newly constructed building had a hand-breaded tenderloin on the online menu, so I drove by and checked it out. 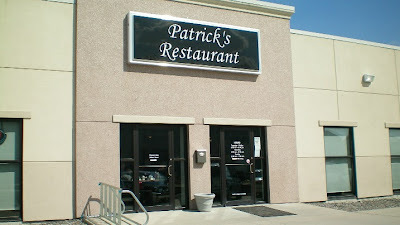 Location: 211 S. 7th St in Adel, near the bike path and just west of Waukee and the Western Suburbs. Directions: Take University from Des Moines, or the Highway 169 exit from I-80 into Adel, this place is a block north and east of the main intersection south of town. 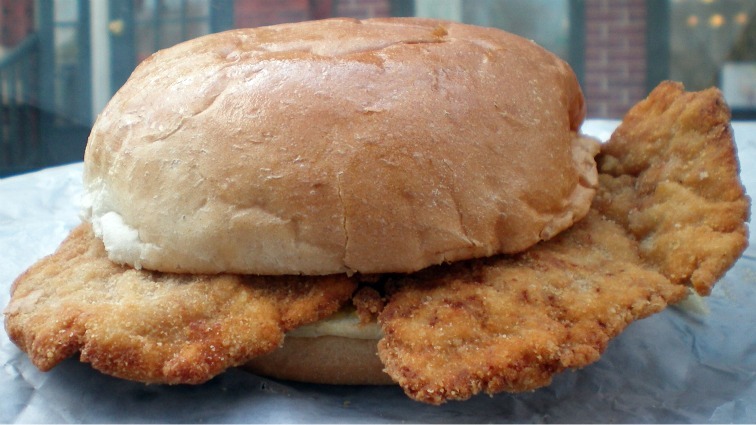 The Tenderloin: The meat formed a normal triangle loin shape when viewed from above. The butterfly cut left one half much thicker than the other. Sticking the sandwich in a take-out wrapper meant one of the edges curled up, but that was fine by me. 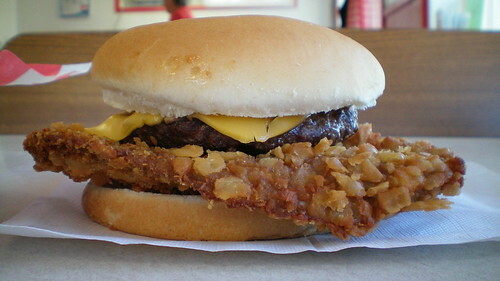 Meat was bright white and steamy, hidden under a fine layer of crunchy breading. The bun was just gigantic and dwarfed the sandwich itself. Overall an okay 7 out of ten. Also on the menu: The menu is big, with sandwiches, salads, steaks, pasta, pizzas and a full breakfast. Service: Its seat yourself table service with a bunch of waitresses running around, but I had to grab my sandwich to-go from the counter. Ambiance: This is a newly built building with large tables for seating and natural light coming in from the windows. 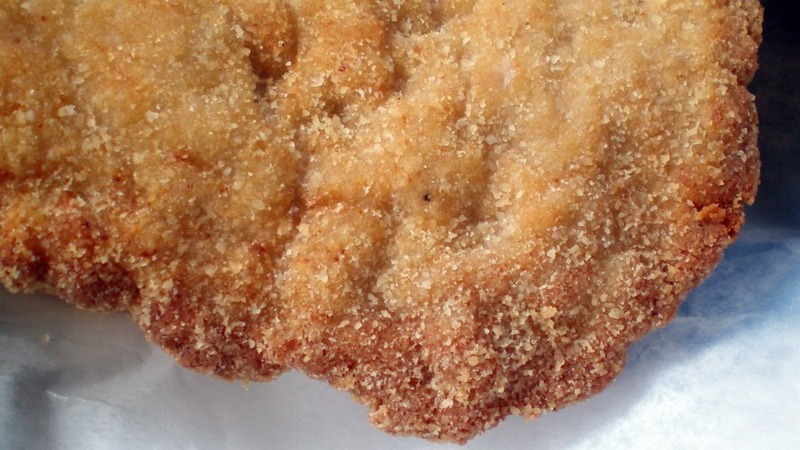 Final Thoughts: I've had a hard time finding homemade tenderloins in Adel. The old Horseshoe Lanes on the West Side of town used to serve one, but I never made it there before it closed down years ago. I've found good tenderloins in other parts of Dallas County, but the best I have found so far is still at Fat Randi's in Van Meter. The next place I need to check out in this County is probably Lou's Diner in Woodward. We're chowing down on breaded tenderloins at John's Grocery today. Our deli doesn't always have them made up and when they do, it can be kind of hit or miss depending on who made them. Today? Perfection. I actually had to eat two. Thanks again for the dedication you put into this. When you are out our way (Maybe Augusta's?) let us buy you a beverage. I would send this via e-mail but I can't find a contact. John's Grocery in Iowa City has a house-made tenderloin.